Any time money is a bit tighter than usual, I know I can give my home an inexpensive upgrade by upcycling otherwise forgotten household items. Whether I’m following an online DIY tutorial or just “freestyling” it creatively,I can easily turn old junk into Instagram-worthy art like this adorable “bike sweater” knitted by a crafty DIYer. And when I discovered there were endless ways to upcycle my old coffee cans, I couldn’t wait to get cracking on a new project! Tin cans are a fantastic base for a wide variety of crafting projects from a DIY lantern to a makeshift robot to a homemade camera. 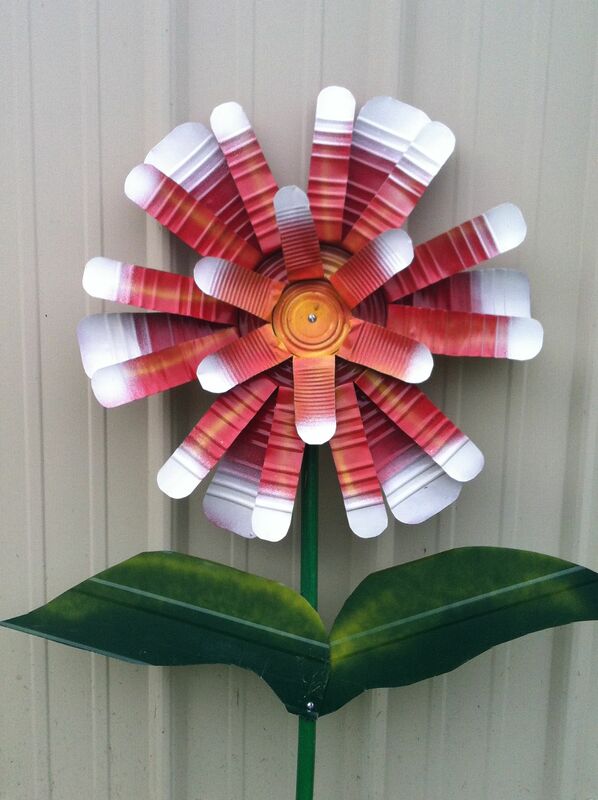 DIYers everywhere have been experimenting with the various creative ways to repurpose this common household item into splashy, new home additions! If you’re anything like me, and you find yourself knee-deep in old cans, don’t chuck them quite yet. Instead, scroll through below to see how you can become a “tin can artisan” in no time. 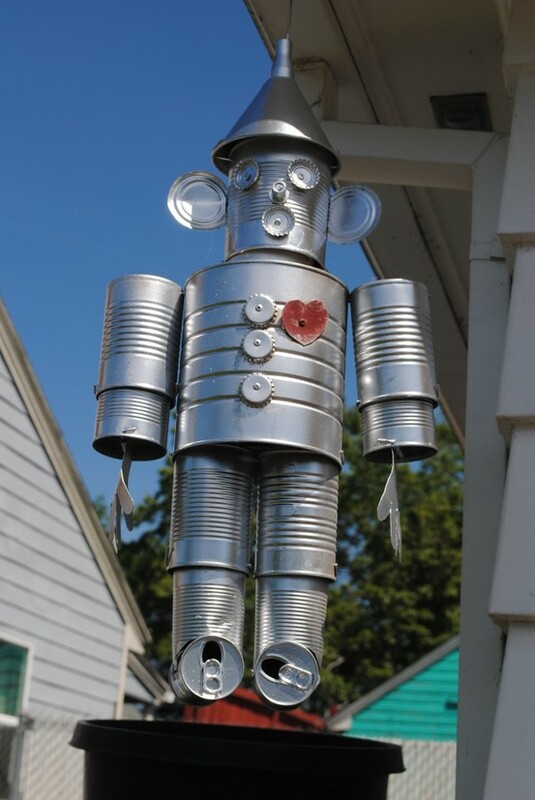 Instead of tossing those old cans, build yourself a Wizard of Oz inspired Tin Man. These gorgeous mossy vases were easily constructed with stencils, glaze, and a few neglected tins. You can throw a backyard BBQ anywhere with this tiny “rocket stove” made from a few old tins, some twigs, and a bit of gas.